Belstaff Creative Director Delphine Ninous dishes on the first Canadian store and evolving a heritage brand. Belstaff was founded in 1924 in Longton, Stoke-on-Trent, Staffordshire, England. The innovative brand was the first company to fabricate waxed cotton for waterproof motorcycle jackets. Now fast-forward nearly a hundred years later to the opening of the first Belstaff Canadian store in Yorkville Village, Toronto. The refined boutique sits in a modernized space with elements imported from Europe that ensure the brand DNA remains prominent and honours the Belstaff aesthetic. This is an exciting expansion for the brand that continues to be a pioneer in the fashion industry. In order to stay relevant in a constantly changing marketplace, the evolution of creative vision is paramount. The vision is the responsibility of the creative director, who channels the brand aesthetic and is essentially accountable for making something so archival, modern again. Delphine Ninous joined Belstaff in 2014 to oversee the women’s collection. Today, as Creative Director, she is the guiding light for one of the world’s oldest fashion brands. Speaking about her past and aspirations from a young age, Ninous recalls how she has always dreamed of working in fashion. She states, “I knew I wanted to be a fashion designer and I never changed my mind.” Without wasting any time, she completed her studies and catapulted herself immediately into the working world at the young age of 21 for Christian Lacroix. Transitioning from school into the workforce was “a completely different reality,” she divulges, as she faced the challenges of trying to adapt to the working world. One of the brand’s most iconic pieces is the “Trialmaster” four-pocket jacket, which was originally designed around 1948 to endure UK weather. She explains that it is an “everyday job to re-evaluate the proportions and fabrications of this particular piece.” This archetypal jacket for Belstaff was re-launching only hours after the conclusion of our interview. Today, in 2018, the Trialmaster re-debuts in a high-performance fabric - a three-layer stretch nylon that is waterproof and moist-wicking. 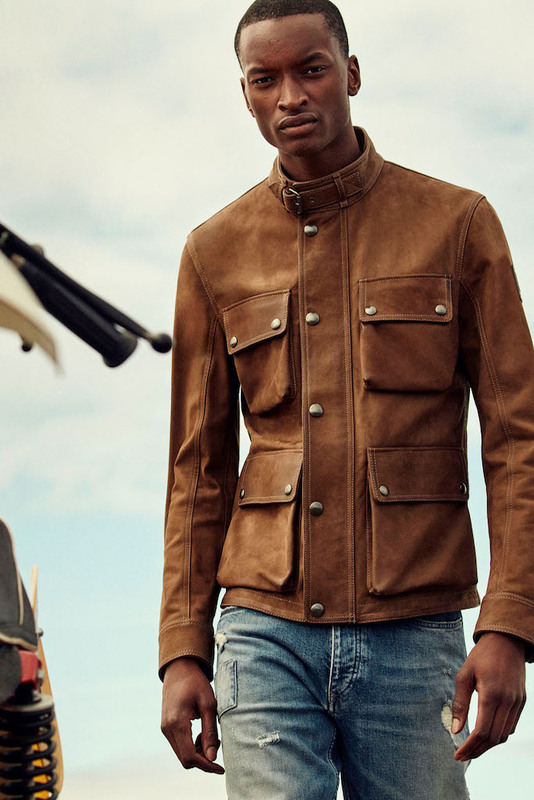 “Belstaff was innovative in the ‘20s when the brand started, and continues to do so to adapt to a modern way of life,” which concludes that this particular jacket truly represents transformation to Ninous.